Windows Live Messenger 2012 is the next-generation MSN Messenger. It has everything you already love about Messenger. Your contact list, emoticons, and instant access to your friends via text, voice, and video. In addition, it has new ways to connect and share photos and documents effortlessly. It’s faster than e-mail and is a great choice for conversations and the perfect alternative when you can’t be there in person. As always, it’s free to download Messenger and use most of its features. 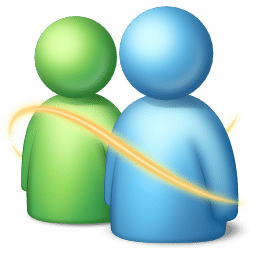 Windows Live Messenger has now been made available on several phones, a new trend has appeared where people send messages over Windows Live Messenger to each other as a way to have free SMS text messages. Windows Live Messenger (WLM) is an instant messaging client for Windows, first released on December 13, 2005 by Microsoft. It is part of Microsoft’s Windows Essentials set of online services. The Sharing Folder feature of Windows Live Messenger is an alternative to the “direct transfer” method of file distribution. 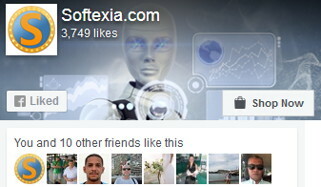 When a user wants to deliver a file to another person on his or her contact list, the “sharing folder” window appears, which is an individualized representation of all previously shared items. In addition to PC-to-PC calls, Windows Live Messenger now supports PC-to-phone calls with Windows Live Call. In the US, this feature is supported by Verizon, branded as “Verizon Web Calling”. Orange France also has a similar service. This feature is only available in selected countries, including the US, the UK, France, Germany, the Netherlands, Austria, Ireland, Finland, Belgium, Spain, and Italy. Windows Live Messenger to Yahoo! This allows Yahoo! and Windows Live Messenger users to chat (using text or voice) to each other. They do not need to create an account on the other service, provided both contacts use the latest versions of the clients. There are various games and applications available in Windows Live Messenger that can be accessed via the conversation window by clicking the games icon and challenging your “buddy”. Supported OS: Server 2008, Server 2008 R2, Windows 7, Server 2012, Windows 8 (32-bit, 64-bit). THX71: Windows Live (Messenger) will continue to exist in mainland China. Ä± have webcam problem it says'' no compitable video card for video chat'' what the fck is that, is there any solutiÄ±on for thÄ±s? As per ZFC1911 post on Software Updates, I updated my Windows Live Messenger to the latest version of 15.4.3508.1109 using the somewhat bloated (once downloaded, 209MB) offline WL Installer (wlsetup-all), Product & File Version 15.4.3502.0922 (that's correct), with a Digital Signature of 24 November 2010. My, My. look at all the ignorant, foul mouthed, stupid little Microslop fanboys here, who can only justify their stupidity with rude, crude and dumb comments! What I posted was true, but you newbie punks, namely cool recep, wouldn't know that, now would you? If you have friends on numerous IMs, wouldn't it make sense to use just one program that can handle ALL the IMs together, rather than have to open 4 or 5 at the same time? I guess your puny little brains can't figure that out and you reply with vile, foul comments! Ignorance prevails, so it seems!! cool recep....you are the master ignoramous, for sure! You should be ashamed of yourself, but a bozo like you has No shame! Live with yourself and your ignorance!! There's a difference between opinion and fact, but some people here wouldn't know that! This is the last time I make suggestions that would help the users, here! I once worked for M$ and I know how buggy their warez are, but to each their own! We dont need to start cursing gentelman just because one as a different opinion. His choice! let keep this place clean and professional. Why use this when it's probably Bug infested like all of Microslop's warez? Then you will need YM, ICQ, GTalk and whatever other IMs are out there! Install Trillian Pro and have access to ALL the IMs, nice and neat under one roof!